Major City of Garhwal region, Pauri is dotted with marvelous outlook of the great Himalayas, charming valleys, opaque forests, twisty rivers and welcoming people along with a wealthy culture. It is the headquarter of Pauri Garhwal district and this district is named after huge popularity of Pauri. Pauri is not solely famous nationally but internationally as well due to outstanding natural attractiveness and location. The place is located at an elevation of 1,814 meters above the sea level and bordered with other renowned districts of Uttarakhand i.e. Chamoli, Bijnor, Nanital, Haridwar, Rudraprayag, Dehradun and Tehri Garhwal and you can get breathtaking view of the grand Himalayas at any place across Pauri. You can assume it as the finest tourist place to visit in Uttarakhand as here you’ll not only capture ultimate beauty but also able to realize the cultural beauty of Uttarakhand. Bander Punchh, Gangotri Group, Swargarohini, Jogin Group, Kedarnath, Thalaiyasagar, Sumeru, Neelkanth, Chaukhamba, Hathiparvat, Trisul and Nandadevi are very near to Pauri and assumed as the major attraction of this place. Due to pleasant climate you can find massive crowd at this place throughout the year except winters and it improves the beautifulness of this place. As I discussed you’ll find pleasant climate here throughout the year except winter thus there are no any time restrictions specified to visit this place excluding. At any point of time throughout the year you can enjoy the exceptional sightseeing and excursions of this place. Summer season at Pauri starts from the months of March to June. Summer season is assumed as the best time to visit this place as you’ll find very pleasant environment around you enable you to grab not only its natural beauty but also apt for adventure activities. Winter season at Pauri is extremely cold so we don’t recommend you to visit this place during this time. However, in case you love snowfall then you can visit this place but never forget to bring heavy woolens along with you. Spring season at Pauri is very apt for visitors as you’ll find lovely climate at this time. 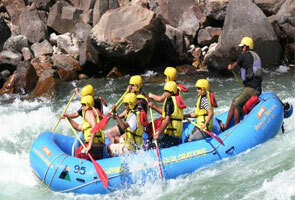 Months starting from October to November are assumed as the spring time thus you can book your trip during this time. 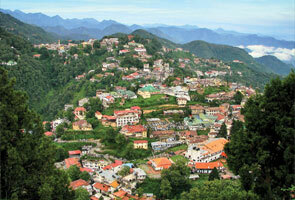 Visiting Pauri in Spring can leave an unforgettable memory for your life; just get ready to grab those. You’ll find heavy rainfall during monsoon at Pauri. But if you’re a nature lover then don’t miss to grab the green life of Pauri Garhwal during this time. However, the climate is not apt for complete sightseeing and excursions. What could be said about cuisines at Pauri, simply beyond your expectation? Varieties of regional and Indian foods are served here to tourist that is self an awesome experience for pilgrims. Separate restaurants are available here to provide you mouth-watering cuisines. Besides this you can also find multi-cuisines restaurants associated with hotels. Shopping facility at Pauri is extremely good. 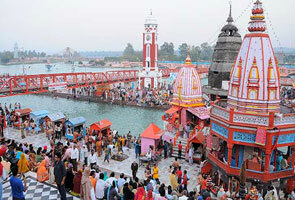 As this is main city of Uttarakhand thus allows you to get finest shopping experience if you’re interested. 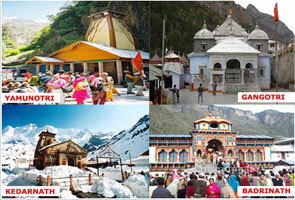 So if you’re planning for shopping along with your trip, there are no other places in Uttarakhand in terms of shopping.